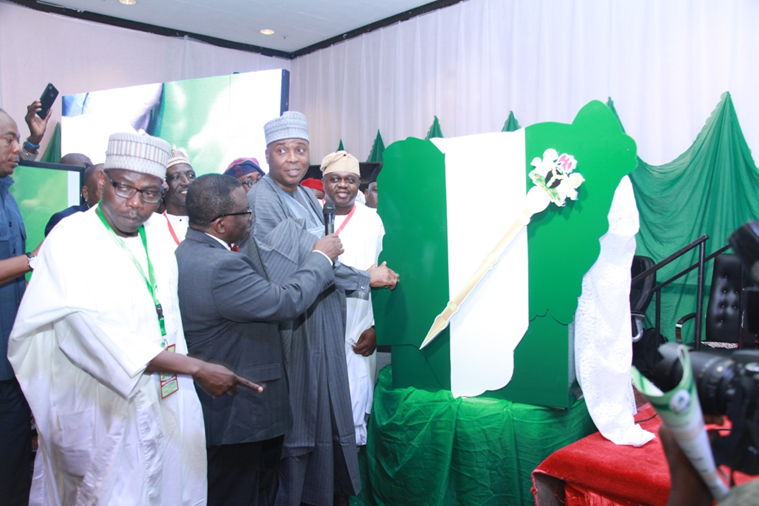 The Hon Minister of Health, Prof Isaac Adewole, the Senate President of Nigeria, Dr. Bukola Saraki and the Chair, Senate Committee on Health (l-r) unveil the Symbolic Box of the Legislative Network for UHC in Nigeria, containing the National Health Act 2014 and the National Health Insurance Bill 2005. The platform aims to strengthen institutional cooperation to advance legislative activities on health matters between state level institutions and between federal/state level institutions. HFG Nigeria will be working with other partners to coordinate and also ensure that the network achieves its proposed objectives. During the July proceedings, Professor Isaac Adewole, Minister of Health, encouraged Senator Dr. Bukola Saraki, the Senate President and physician, to lead the national discussion on implementing the National Health Act, which would secure an additional $125 million in annual funding for primary health care through a 1% Consolidated Revenue Fund (CRF) allocation. This funding would allow states with their own health insurance schemes to prioritize vulnerable groups. Dr. Saraki assured the Minister that if the 1% CRF for basic health care is included 2018 budget request for health, then he would guarantee that it will be protected and passed by the Senate. 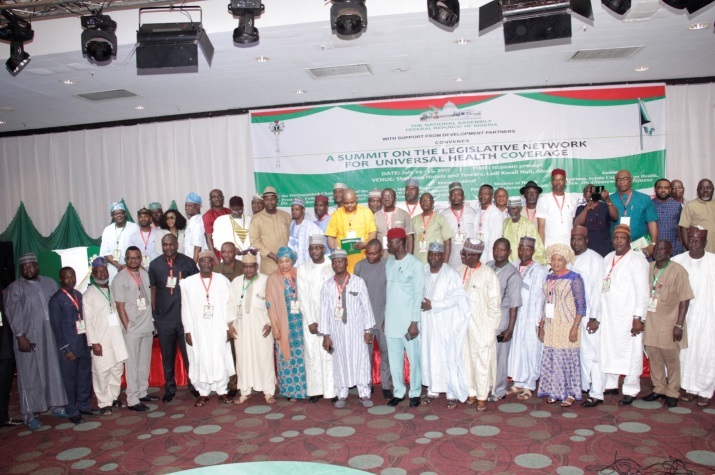 At the end of the two-day event, the legislators produced a communique of action from the Legislative Network for Universal Health Coverage. During the presentation, the legislators of the communique resolved to work towards the success of the Network and to ensure Nigeria makes significant progress towards UHC. Dr. Gafar Alawode concluded the event with a vote of thanks on behalf of the planning committee.